Being a Volunteer and Friend at Fairfax House means that you are likely to have a somewhat unsavoury interest in some of the darker, distasteful and downright disguising aspects of eighteenth-century life. It’s all grist for the mill if you are a Room Host at Fairfax House and are therefore a lynchpin in helping our visitors understand what makes a real Georgian Townhouse tick. ‘Illness and the Ill in the Long Eighteenth Century’ are just such a topic and for their next special joint meeting the Volunteers and Friends of Fairfax House welcome Emeritus Professor Allan Ingram (University of Northumbria, Co-Director for ‘Writing Doctors: Representation and Medical Personality ca. 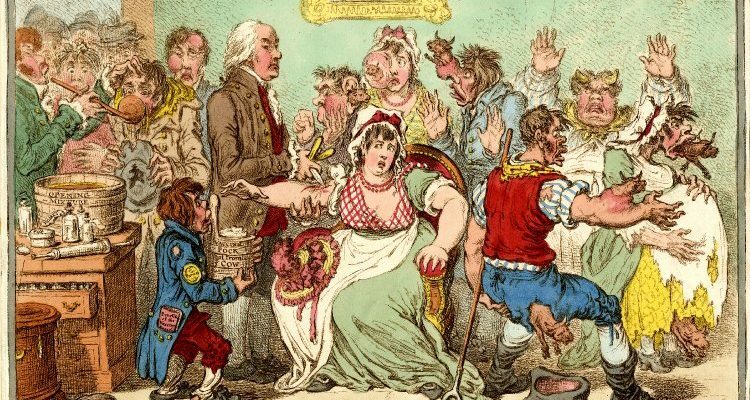 1660-1832’) who will look at ‘Small Pox, Large Presence: Meaning, Morality and an Eighteenth-Century Killer’, and Dr Ashleigh Blackwood (University of Northumbria, Research Associate for ‘Writing Doctors’) who delves into ‘Worms and Snails for all that Ails: Uncovering Medical Knowledge in the Fairfax Family’. If all this discussion and exploration of the darker side of Georgian life in a townhouse whets your appetite, why not consider joining our team as a volunteer? Our next volunteer training course starts soon, and it’s easy register. Have a look at here for some more information and to set ball rolling.